My son, Rowan, designed this pin. 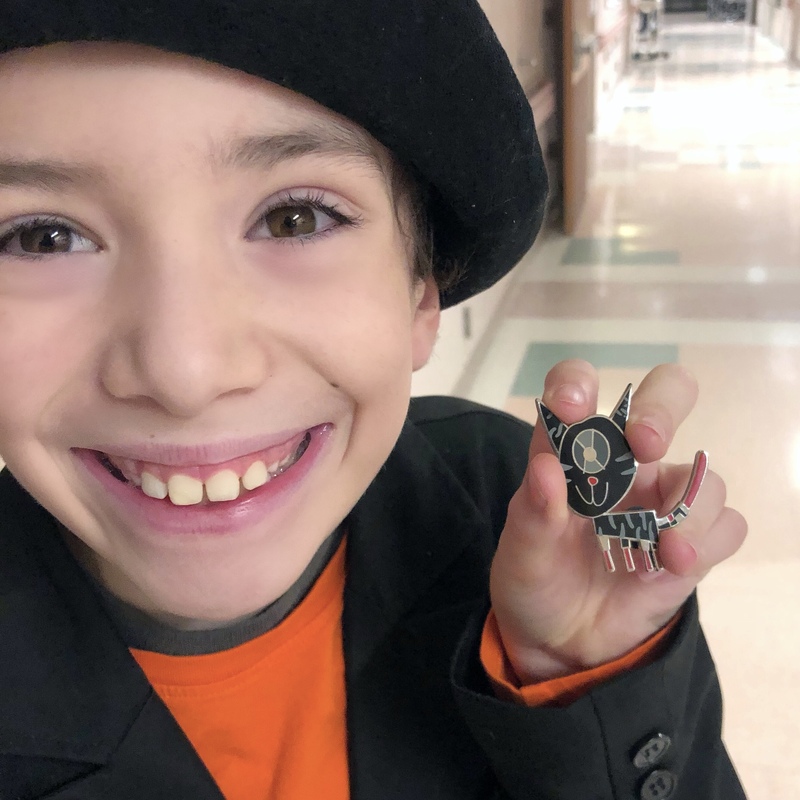 Every year he designs a holiday pin to give to our realatives and this year after he designed it, he said “mama, can we make a pin and sell it for hundreds of dollars and give the money to kids?” So we talked about it and he decided that he wanted to raise money for Boston Children’s hospital. Out of every pin $5 will be donated! 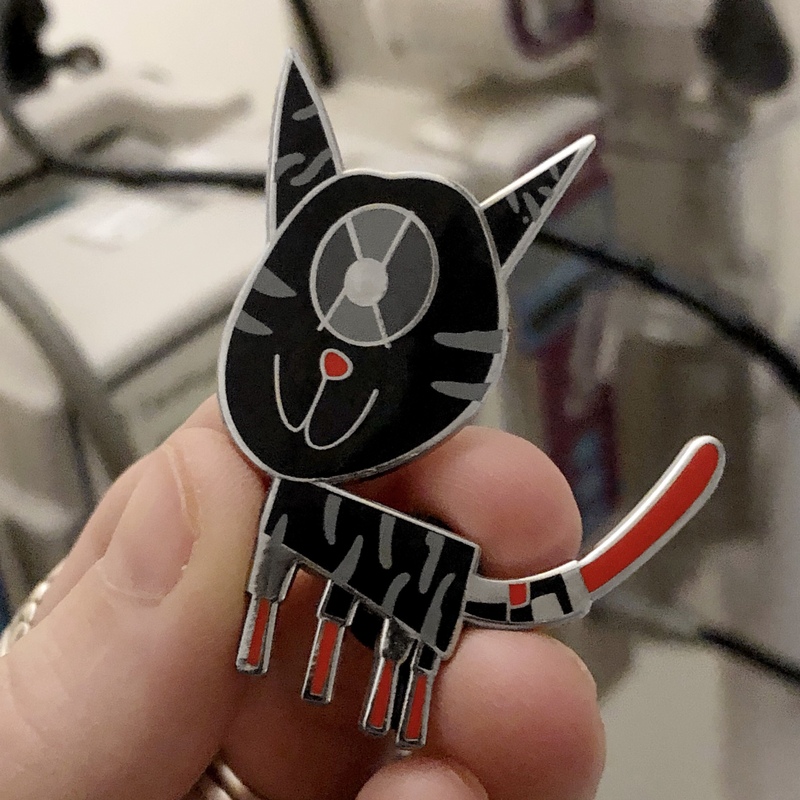 (the other part covers cost, packaging, and taxes) Rowan designed This pin to look like a cat with a deathstar head and lightsaber legs and tail. It’s a large pin, around 2”ish with silver colored metal, hard enamel, screen printed details, and 2 posts.